The pride of a father. The love of a wife. The soul of a rebel. The heart of a champion. Roadside Attractions has debuted a trailer for a film titled Tommy's Honour, about the founders of the modern sport of golf. 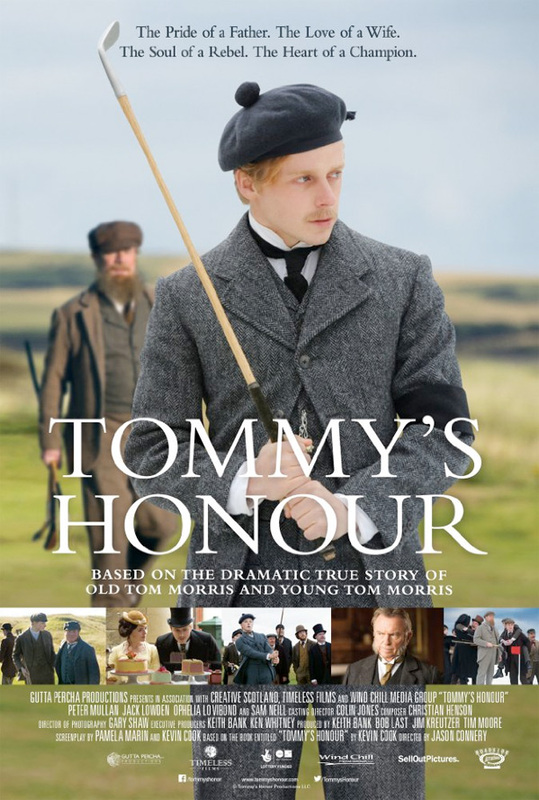 The film focuses on Tommy Morris, played by Jack Lowden, and his father Tom Morris, played by Peter Mullan, two golfing legends who helped make the sport into what it is today. Set in the 1800s, these two Toms helped redefine the sport at a time when Scottish golfers were considered low-class players. The cast includes Sam Neill, Ophelia Lovibond, Peter Ferdinando, Max Deacon and Paul Reid. This looks like a fine drama about a desire to rewrite the expectations of society, proving that anyone can be successful. In every generation, a torch passes from father to son. And that timeless dynamic is the beating heart of Tommy's Honour - an intimate, powerfully moving tale of the real-life founders of the modern game of golf. Tommy's Honour is directed by English actor-filmmaker Jason Connery, of the films The Philly Kid, 51, Pandemic and The Devil's Tomb previously. Jason is the son of Sean Connery and Diane Cilento, and grew up in London and Scotland, initially starting out in acting before directing. The screenplay is written by Pamela Marin and Kevin Cook. The film premiered at the Edinburgh Film Festival last year. Roadside Attractions releases Tommy's Honour in select US theaters starting April 14th, 2017 this spring. Curious? In the words of The Dude "Obviously I'm not a golfer", but this looks really good! The OG "Greatest Game Ever Played". Weird seeing them play in tweed suits. 'Yer too poor' 'Ah'm guid at golf ya high heid yins!' 'We're inbred upper crust folk, only we can play the golf' 'Yer aw getting stabbed.' Golf is so boring. Really like Peter Mullan though. Golf is like Caviar. Everyone hold them in high esteem, even though they taste crap. Yeah it's really weird, I knew a guy who got into it for a while, but it was always something you needed money for to get all the gear so it never interested me.